Sam was a large, beloved dog. His painting is a perfect example of the benefits of using a larger canvas/panel. 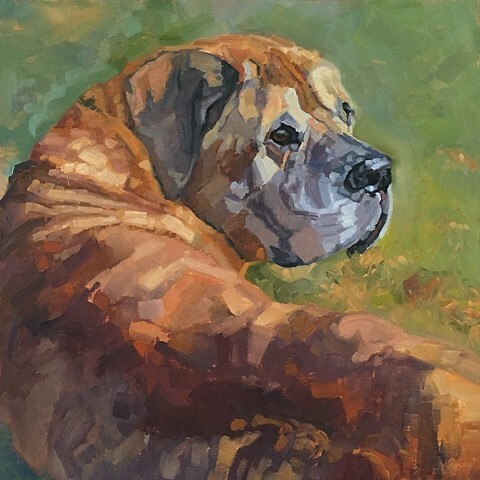 Of course, you have to see it in person to appreciate what I am rambling about but trust me, large dogs deserve large paintings (minimum 10 x 10," if possible).